It is vital that professionally produced indexes are included in children’s books. Children need to be able to find information easily, using tools that are appropriate to their age and abilities. Contents pages are no substitute for a good index, even in the simplest of books. Using an index is one of the first tools of independent research and encourages analytical skills. An ability to use an index can also help children when they search for information on the internet. A clear, accurate and well-presented index can encourage children to use indexes, while a disappointing one can reduce their interest. The index should therefore be carefully planned, not tacked on as an afterthought or made by a computer without any consideration for the particular needs of the young user. This article should be essential reading for anyone producing non-fiction children’s books, while the Society’s Occasional Publication No. 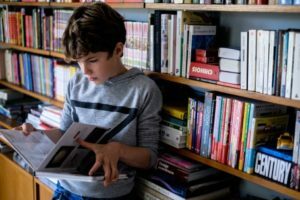 5, Indexing children’s books, based on research into index use, highlights the essential features that should be included in indexes to all books for children.